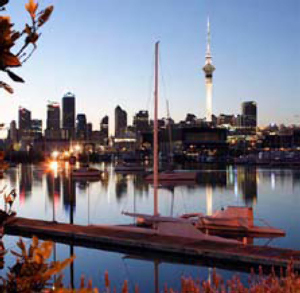 Property value growth continues to decline in Auckland. Listings have jumped up with the arrival of spring but new QV data highlights that values around the country have settled into a holding pattern. According to the latest QV House Price Index, nationwide values fell by 0.6% in the three months to September, leaving the average national value at $676,427. But this was actually an improvement on the rate of growth seen in the three months to August. Further, national value growth continued its slow, steady annual increase. When adjusted for inflation, they were up by 3.1% as compared to September 2017. QV general manager David Nagel says the arrival of spring hasn’t had a dramatic impact on market values so far. “While listings have increased significantly across most areas, quarterly value growth remains modest due to a lack of new market drivers. Growth in the main centres largely continues to flat-line or slow down. In the Auckland region, value growth was down by 0.7% over the past three months and, when adjusted for inflation, by 0.7% year-on-year. That left the region’s average value at $1,047,415. Wellington’s value growth rate has levelled off slightly, but the region’s values still rose by 1.6% over the past three months and by 9.6% year-on-year, leaving the average value at $664,418. Meanwhile, the song remained the same for Christchurch. Its values are slightly up year-on-year but they decreased by 0.2% over the past three months, leaving its average value at $493,922. Nagel says the continued slowdown in the rate of value growth in the main centres continues to have a “trickle-down” effect on regional centres. Many smaller provincial areas are experiencing a gradual slowdown in growth, he says. In his view, market might not appear dramatic on the surface, but there is plenty happening behind the scenes. Investors and first home buyers continue to transform the makeup of more affordable areas on the outskirts of the city centres, he says. Additionally, population growth and affordability constraints mean there is increased demand for different types of property – particularly semi-detached units and apartments in the main centres. Nagel says that, with the arrival of summer, he expects to see an increase in listings and sales but the degree to which this will impact on value growth remains uncertain.